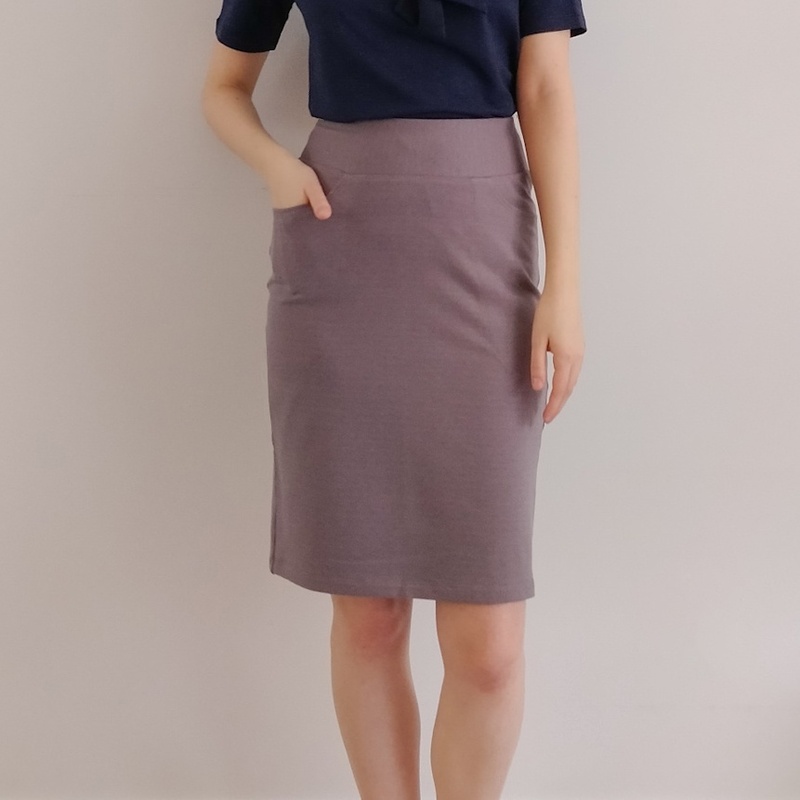 Super comfy weightier knit pencil skirt just right for dressing up or casual. 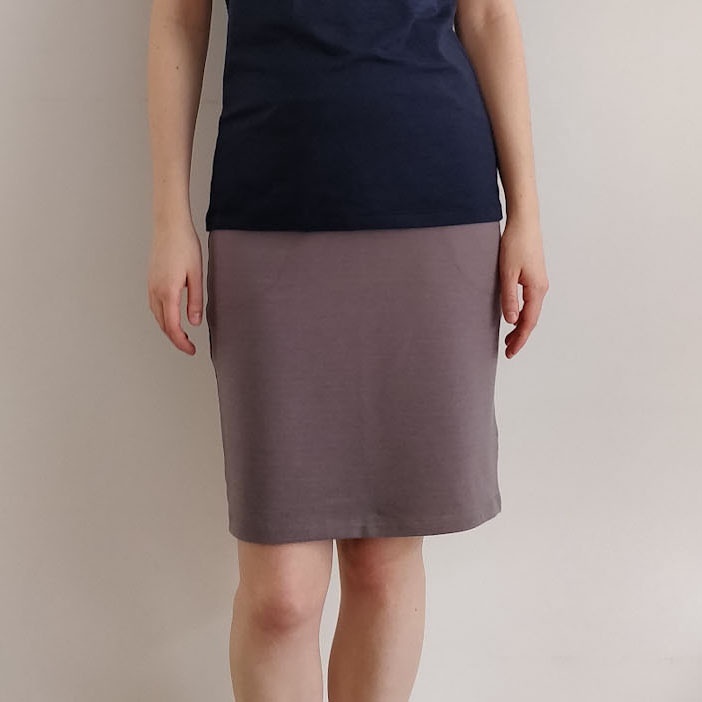 Features pockets and wide waist band with soft elastic. Fabric is French terry knit.